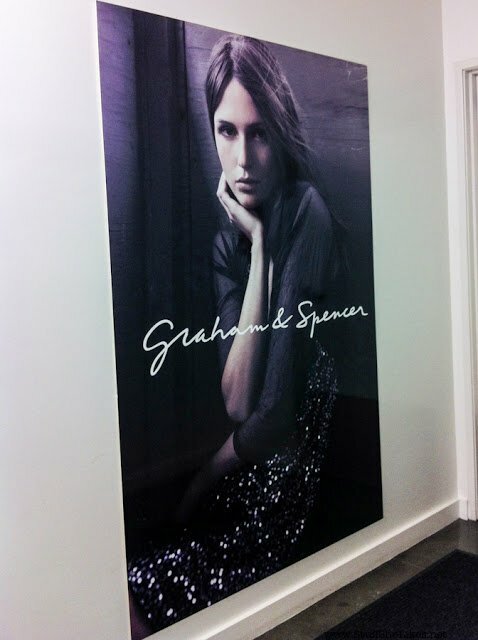 Designer Spotlight.. Graham & Spencer..
the true essence of team work, friendship, entrepreneurship and pure amazingness. A duo that from the minute they met was meant to be. 15 years later the company has flourished with over 200 employees, an in house design center and factory and millions of loyal Velvet/Graham & Spencer devotees all over the world. We sat down over cups of English tea. Jenny the “Graham” of Graham and Spencer is from South Africa and Toni the “Spencer” of Graham and Spencer is from London. We simply chatted as women do. My mission was to understand how to make a business as successful as theirs actually work.. This business is brutal and being in a partnership is like being in a marriage. They have managed to make this work for so long by learning that they don’t always have to agree but they always have to understand that they must know how to agree to disagree. They both know and respect that they each have strengths and know each others strengths. No one is the star of the company. They are both equal, share an equal load and know that they could not do any of it without the other. They just opened their first Velvet by Graham & Spencer location in Brentwood, Ca and are quickly expanding. After 15 years of being in the business they said “We were finally ready”. It was important for them to wait until they were ready. Velvet vs. Graham & Spencer? Okay so a little explanation in case you are a tad confused. Velvet by Graham & Spencer started in 1997 is their super luxe line of everyday basics. Tee’s, tanks and tops. While Graham & Spencer started in 2007 is their line of fashion forward dresses and separates. So I asked the two ladies, who’s desks sit right next to each other, what are the top three advice points they have for anyone starting a business. Again .. here is what they said..
1. Before you think about starting a business go work for someone doing that business. Learn the language of that business. 2. Check out the competitors. Know who is already in the business and what they are doing. 3. Be willing to evolve. That last motto is my all time favorite.. Check out both Graham & Spencer and Velvet by Graham & Spencer. Both sites are having super awesome sales at the moment. We could all use a new Tee or two!! Thanks so much ladies for letting spend some time!! P.S. Stay tuned for some Graham & Spencer outfit posts..
"FASHION FRIDAY.. Lily Aldridge for Velvet.."
"OUTFIT TUESDAY.. High Waist & Crop Tops.."